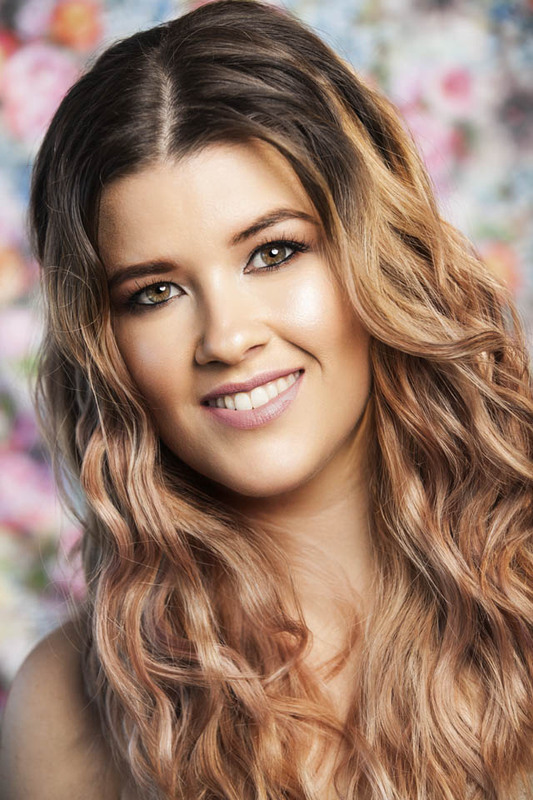 If you are a current or past student of the TBA you will know that founder Maggie Tamarua is pretty much a ‘one stop shop’ when it comes to all things makeup. Having been in the industry for over 10 years, Maggie has tried and tested thousands of products on the market and picked her favourites. They are many and varied and constantly change with the trends and advancement in technology and formulas. When Maggie decided she wanted to start her own line of products why on earth would the first product be makeup brush cleaner? I mean, think about it – it’s the least cool thing about makeup! What about eyeshadows, blushes, foundations or lipsticks?! All those pretty colours and textures that transform our plain faces into walking works of art. No. It had to be brush cleaner. When I asked Maggie why she wanted to make brush cleaner her first TBA product she said that “so many artists forget about hygiene when they are busy working on clients and that can be a business killer. I wanted to create something that would work every single time when you need to clean your brushes in between clients and actually have it disinfect the brush as well to kill all those horrible germs.” Fair point I reckon. But what’s so special about this brush cleaner that people couldn’t get from any other random shop? Side note: In my career as a makeup artist that was trained by Maggie I started off using the brush cleaner that she had in the studio. I came into my first class knowing next to nothing about makeup – it was nothing for me to put foundation (on the rare time I wore it) on with my hands. Ewweee! The fact that I had to clean my brushes after each use was mind boggling yet made complete sense when I actually thought about it. As if you would want someone else’s face gunk on your body, no thank you! This cleaner did what it said it would do. It cleaned my brushes and dried OK. I had no other experience so I thought it was great. All except the smell. Seriously, it smelled like methylated spirits mixed with paint thinner. If you don’t know what either of those smell like, I envy you. I have a headache just thinking about it. And you know what? Every single other brush cleaner I have tried since then is the same. Same smell, same results. Not one of them stood out from the crowd – until now. They KNOW that I’ve cleaned my brushes. It makes my makeup smell good, duh! If the smell of my favourite cocktail wasn’t enough to hand over my money, a few other things I love about the TBA Brush Cleaner that I think puts it a few rungs higher on the ladder than all the others I’ve tried is that it gets black gel eyeliner out of brushes like its water – Magic! Or when I spray it onto the bristles of an oil based foundation it’s like it was never there to begin with – Witchcraft! This is the same foundation that I struggled to get out of my synthetic brush with my trusty method of Sard Wonder soap and Dr. Bronner’s (the only time its failed me. I was heartbroken L). It’s also handy to mention that it disinfects your brushes as well. Conjunctivitis anyone? Nope! Now, you may think “pfft! This woman is full of crap! Of course she is going to say that the TBA Brush Cleaner is better than all the others. She works for them! !” Well, you’re only half right. Am I being paid to write this post? You betcha! I love this stuff but there is absolutely no freaking way that I would spout how much I think the TBA Brush Cleaner poops on all the others I’ve tried if it wasn’t true. What’s the point in that? For us to sell a few bottles of it and have everyone hate it and not get repeat business? That’s a fast way to fail at business people! I don’t recommend it. Fun fact: we’ve sold out twice already! So it’s clearly awesome. I find the truth is a much better advertisement for our product. Try it for yourself and see. The TBA Brush Cleaner is available in 250ml size spray bottle for $25.00 or in a bulk 5 litre bottle for $120.00. Past and present students can purchase the bulk 5L bottle for $100.00. There is no further discount for the 250ml bottle. Please contact the Academy on info@tamaruabeautyacademy.com.au or via phone on 0421 864 557. Chantelle is a Hair and Makeup Artist who daylights as an Executive Assistant in the corporate world of business consultants. She uses Hair and Make up as one of her many creative outlets, the others being crochet and writing short and witty blog posts.